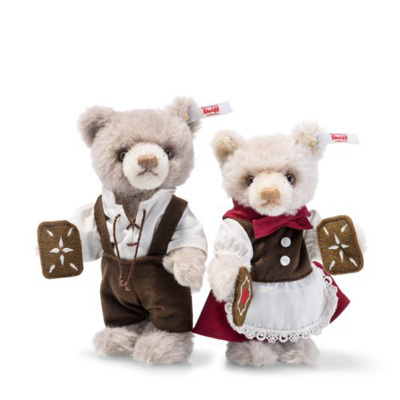 Steiff’s fairy tale series continues with Hansel and Gretel Arguably the Brothers’ Grimm most famous brother-and-sister creation. 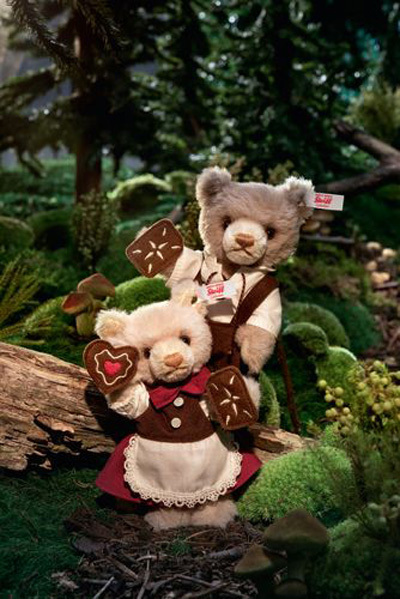 Made of alpaca and sporting lovingly tailored clothes and a gold-plated “Button in Ear”, the sweet-toothed pair are joining the ranks of the rare collectors’ bears. With gingerbread from the witch’s cottage in their hands, they stand for clever, decisive action encouraging children never to give up in difficult situations.